Four Days until our Facebook Live at ELS/Seattle! We will be going live on Facebook in Seattle on Tuesday, 16 January 2018 at 9:00 am PST/12:00 pm EST! Watch our Facebook Live and get a glimpse of our ELS/Seattle Center. We will show you the inside of the Center, answer any questions, and talk more about our students’ experiences at ELS/Seattle! To attend our Facebook Live, visit Facebook.com/ELS on your mobile device or desktop at 16 January 2018 at 9:00 am PST/12:00 pm EST. 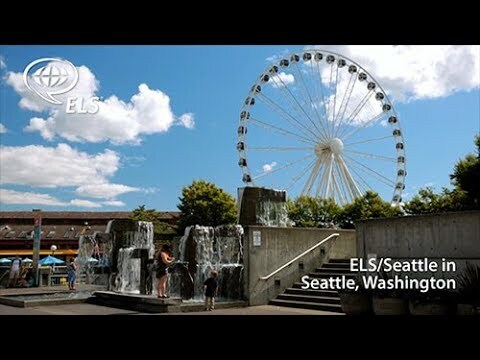 ELS/Seattle is located in the trendy Capitol Hill neighborhood adjacent to busy downtown Seattle, Washington. The Center is within walking distance of Pike Place Market, sports stadiums, and downtown shopping.